This article helps you to know about the amazing health benefits of agarwood essential oil and how it acts as an anti-microbial fact which enhances our human body health much better. Stay tuned!!! The oil is highly prized and sought after oils around the globe and around 70Kg of heartwood of the Agarwood tree yields only 20ml of it. The following post will be reflecting on the Benefits of Oud oil and will help all the readers understand why it is called the 'Liquid Gold' and the scent has been called the 'scent of nirvana' by Buddha. Learn more about Agarwoord plantations in Kerala and check out how to plant Agarwood tree in any part of India for great returns in a short span of time with minimal investments. The Oud Essential Oil is a stimulant that quickens the physiological functions and can be administered in lots of remedies as a supportive medicine or to enhance the way our body responds to the treatment. It is a wonderful tonic that strengthens the body inside out and sends a spark of life down to the cellular level and thus makes our bodies well armed and prepared for fighting all kinds of infections and general diseases. The Agarwood Essential Oil is anti-inflammatory which means that inflammation occurring in the body can be treated as well as kept at bay using the oil. The modern lifestyle has led to the development of the inflammation in young as well as old people which is bad for the health. Using Agarwood Oil under expert guidance will help in dealing with it. The oil has also been used by the Chinese as an ancient aphrodisiac because of its heavenly fragrance and effects on mind and body. Another benefit of oud oil is that it is a diuretic which means that it increases the urine production and thus is also used for effective weight management owing to water retention. One of the highly beneficial benefits of Oud Oil is that it is antimicrobial and kills as well as resists the growth of pathogens and other microorganisms in the body. Chinese people have been administering the medicine to treat various kinds of infections that ail the human body. The Oud Essential Oil is a natural carminative. It boosts the digestive system and helps it to get rid of the gas that accumulates in the Digestive System and causes a lot of harm and discomfort. The oil is a natural cure for fever. It also aids in digestion and boosts the working of all the member organs of the Digestive System. In case you catch a cold easily or are a person that goes for the natural cure for cold and cough, then Agarwood Essential Oil is your best pick. It is a natural expectorant that loosens the mucus that gets accumulated in the respiratory tract and helps in its expulsion as well. It is important that the mucus is removed and not dried as the modern medicine generally does. Hence, Oud Oil is a better medicine for a cough and cold as compared to the drugs and allopathic medicines. It is also used to make the periods easy and regular. It stimulates the menstrual flow and is one of the best natural emmenagogues. It is a natural pain reliever and can be massaged gently over the aching body part for effective relief. 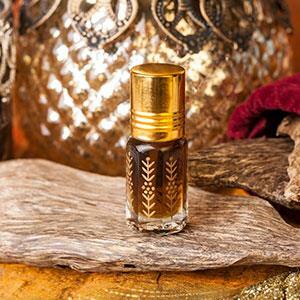 The Oud Essential Oil is highly effective for itching treatments as it an antipruritic as well. In case you want to improve your appetite which is otherwise ruined by your lifestyle and work culture, you can trust on the Agarwood Oil which will give a boost to your appetite and make your digestive system better and stronger as well. These are some of the highly effective health benefits of Agarwood essential oil that can motivate anyone and everyone thinking of opting for a natural source of health and wellness that is effective as well as actually beneficial. Check out some other Oud products. Stay Healthy..! !